Updated 12/18: The Agriculture M inistry has issued an `All Clear', announcing negative findings on the suspect farm outbreak, and LPAI H5N1 in the mallard (link Reference Laboratory are clear: No bird flu in the district of Lüneburg). While France has so far been the epicenter of Europe's bird flu woes this fall, Germany reported an outbreak of HPAI H7N7 during the summer and a low pathogenic H5N2 outbreak only a couple of weeks ago (see Bavarian Avian Flu Outbreak Identified As LPAI H5N2). Today, the Ministry of Food, Agriculture and Consumer Protection of Lower Saxony (Ministerium für Ernährung, Landwirtschaft und Verbraucherschutz) has announced the discovery of a hunted duck that has tested positive for H5N1 and a local farm where an H5 antibody test has come back positive. We should get a better characteriaztion of the virus detected in the duck later today. As far as the farm is concerned, an antibody test only indicates prior infection, so we don't yet know whether there is an active outbreak ongoing at this time, or even what subtype it is. Again, we should know more later today. In the meantime, the Agriculture Minister is putting poultry farmers on the area on high alert. HANNOVER. Lower Saxony's Agriculture Minister Christian Meyer yesterday (Wednesday) shall inform the Parliament of Lower Saxony over two cases where there is a suspicion of bird flu. In a message he also appealed in the context of the poultry farmers and advised excessive attention. "Although a final result is not yet known. However, it remains important to take precautions. It is important, for example, to leave unclear death or illness as soon as possible examine bird flu and a suspected violation immediately to the competent veterinary authority. " In one killed in the district of Cuxhaven Mallard by the veterinary authority of Oldenburg had been detected avian flu. The samples were taken in the wake of the wild bird monitoring for early detection. The Minister: "It is in this case to the avian influenza H5N1 virus. Samples are already at the national reference laboratory of the Friedrich-Loeffler-Institute (FLI) on the island Riems been sent "The results should be available promptly Meyer added.".. In the vicinity of the shooting place no poultry farms are present "
In the second case in the district of Lüneburg H5 antibodies have been detected in the context of poultry on a monitoring operation with duck and goose husbandry. These samples will be sent for final clarification on the reference laboratory on the island Riems. The Minister made it clear that it does not concern the detection of the pathogen, but solely to the detection of antibodies associated with this finding. Only the official FLI result will show whether the animals are suffering also to bird flu. 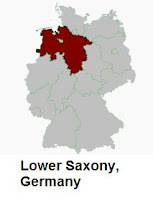 Lower Saxony's Agriculture Minister pointed given the current cases in Lower Saxony's nationwide "exemplary role in the regular monitoring studies both in poultry and in wild birds." As things stand, this year in the wake of the poultry-monitoring 124 stocks and in the wake of the wild bird monitoring total 571 animals were examined.